Changes are in the air today! Be ready to take action soon as this could be a new offer of some sort? Perhaps a conflict? Swords represent our thoughts, you may be ready to take up some new line of thought or study, perhaps a risk on a mental or spiritual level. This could also be very bright in person who brings excitement into your day. Tricia of FreeBirdJourneys.com ✔ Website currently under construction! DM for more information on purchasing a reading! You work, and you work to reach your goals, and although it may feel as life will fall apart if you take a break, that’s not true! This is your EGO speaking to you. To continue the progress on your path, you must release past situations and hurts. By Taking a Breather and Detaching, you are given the chance to remove uncertainty, doubt and regret! With these negative emotions gone you gain the power to replace them with hope, belief, and contentment, and reconnect with your Spirit. Once you regain your balance you can realign with the higher vibration. Know there’s always more than enough time to do what’s important. Right now you need to relax. The universe is trying to test you, and bring you to, or force you, to balance yourself out. Today take a breather and detach. You don’t have to work overtime. Author FreeBirdJourneysPosted on July 24, 2018 Categories Card of the Day, Oracle CardsTags alone-time, break time, colorado, contentment, daydreaming, detachment, ego, faith, hope, life balance, spiritual growth, tarot card readerLeave a comment on Break Time! If you’re stressing out over finances & security right now, your Guides are working to help you change your vibration. When we fall into the pity pool of lack, Deprivation, penny pincher, and insecurity it goes deep and we have this ongoing cycle of FEAR. When this fear takes over, others feel your insecurity is felt by others and they step back, fearful of being used for your security. Remember we receive what we give. This is valid in all areas of life. Reconnect with Spirit and be generous in all ways: time, talent, treasure, emotions, even a smile! Through our life Journey, nothing is permanent, everything ends and therefore there is a new beginning. Everything changes, all is constantly moving, evolving. We go through obstacles, trials, tribulations, and these lessons test us. This is what gives us our strength, our knowledge, our compassion, our spiritual progress. All of this … gives us our opportunity to grow! Sometimes things may be difficult but it when you look at the bigger picture and live for the present moment you can easily follow the natural course of life. So don’t get stuck, be open to the mindset of acceptance. Know you have the ability to change and understand that you are always in charge! Email readings start at $20USD, Phone 📞☏ readings start at $35USD, visit my website for more information. Link can be found above in my Bio. 🔝✔ I look forward to working with you! Congratulations!! Stick With It – You’ve taken that first step of living in Spirit and love instead of allowing your Ego’s power & negativity rule your mind, thoughts and actions! Know that when you do this, your ego is going to resist even more but stay true to yourself, your spirit, and your soul anyway! This is a new bond, a new partnership between yourself and your Spirit as indicated by the 2 of Cups. This relationship is surrounded by an atmosphere Harmony, balance and kindness. In addition, the new positive energy that you have manifested in your life, whether it be Spiritual, career, family, love relationships or health, Stick With It! The good that you have manifested is getting ready to turn into something new: a new Unity formed from two different Energies. 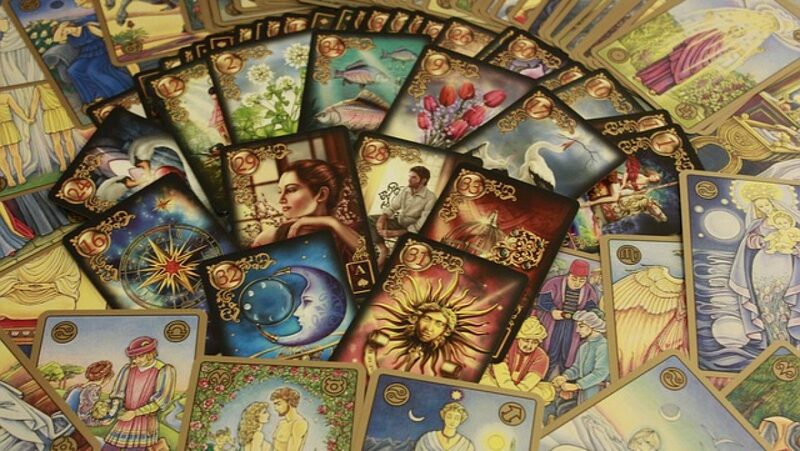 Author FreeBirdJourneysPosted on March 30, 2018 Categories Card of the Day, Oracle CardsTags accomplishments, colorado, harmony, partnerships, spiritual growth, tarot card readerLeave a comment on Stick With It! Drop It & Go Within! March 29th: Do you keep your attention on this moment right here right now, or are all your thoughts stuck in the past? Do you rehash everything and relive all the suffering over and over again playing it on a loop? If you do, it is time to DROP IT! The Hermit also says you need to go Within and do some serious evaluation of yourself. Drop the past it’s over, and you can’t do anything about it other than learn from it. The future hasn’t gotten here yet. Do your best today and everyday to focus on the moment where there’s a bright and beautiful present waiting for you. If we pay attention to what’s going on right in front of us, right here, right now, the sounds, the colors, the feelings, the people … it’ll change your life for the better! If you need to take some time and meditate alone, it’s okay! You may also find that you obtain a mentor, someone that will guide you along your Journey, so pay attention. Before the day is over, if you’re in the present moment you’ll receive a beautiful present but you’ll have to be in the present moment to notice what it is. Author FreeBirdJourneysPosted on March 29, 2018 Categories Card of the Day, Oracle CardsTags colorado, guidance, meditation, present moment, spiritual growth, tarot card readerLeave a comment on Drop It & Go Within!